Contributing to the College of Arts and Sciences is convenient and easy. See “Deadlines,” below to ensure that your gift is credited in the intended tax year or fiscal year. Learn tips for your 2018 year-end philanthropic planning here. Give online using a credit card through our secure site, giving.cwru.edu/casgiving. To make a gift to a specific department or area, please select “Other” and enter the information in the “Special Instructions” box. You may have any amount (minimum $10) automatically deducted from your checking account or debited from a credit card monthly. Just like electronic banking, your generous contribution is easily and automatically transferred. Simply complete the contribution form and send it to the above address with a first payment check to provide the university with the correct routing information. Many companies sponsor matching gift programs that will match charitable contributions made by their employees. Some even match gifts made by retirees and/or spouses. These programs are a great way for companies to support higher education and a chance for you to double or even triple your gift! See if your company will match your gift. There are many other ways to make a gift to the College of Arts and Sciences. Donors work through the Office of Planned Giving to develop a giving strategy that provides valuable resources to the college without impacting current assets. Some of these strategies can even provide retirement income to you or a loved one. 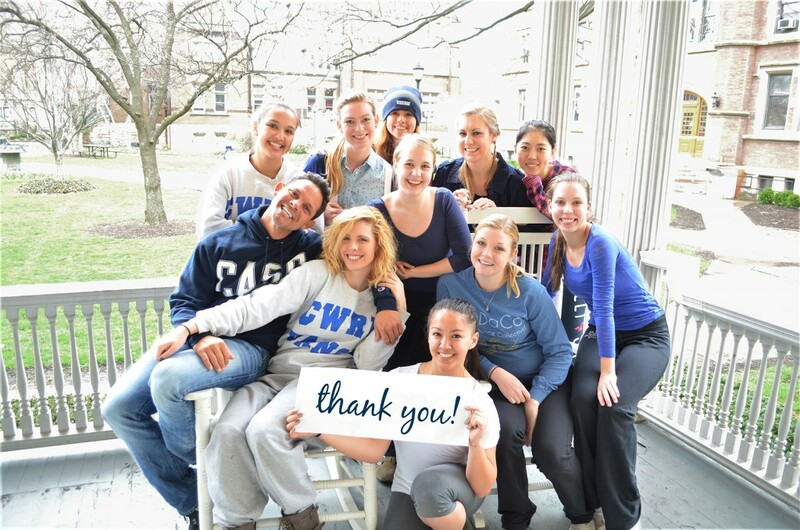 Simply text @cwrugive to 52014, followed by #collegefund and the dollar amount you wish to donate. After a quick one-time registration to enter your contact and payment information, your gift is confirmed and a formal receipt is emailed for your records. Apple device users can also use the camera feature to take a picture of their card or use ApplePay to make their gift. The next time you give, simply text a dollar amount to 52014 – the system automatically remembers you. You can even make your gift a recurring donation – just text the word “Repeat” and indicate how often you’d like to give. Please click here for video instruction. In order to be counted in the 2017 tax year, gifts must be received no later than December 31, 2017. In order to be counted in the 2018 tax year, gifts must be received no later than December 31, 2018. Learn tips for your 2018 year-end philanthropic planning. CWRU’s fiscal year (FY) runs from July 1 – June 30th. All gifts received prior to June 30, 2018 will be counted in FY 2018.